Before you start reading, keep in mind this is a +6500 words guide, where I share my knowledge and experience of 5 years of blogging. 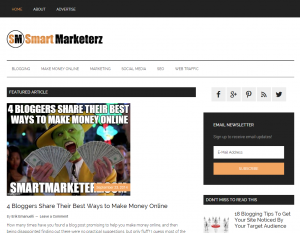 It’s plenty of useful resources, secrets, tips and tools I use daily on SmartMarketerz blog to earn a living online. So grab a cup of coffee (or any other beverage you like) and enjoy the content (this should take around 30 minutes to read it all). And remember to bookmark this guide or share the page with your friend, thanks! This table of contents serves as index. Just click on any of these links to jump directly to the reference point within this page. I wrote this guide to help you build your own blog starting from zero, choose the right market, create and set up your domain name, build traffic and find the best product for you to sell. Do you know how to recognize a successful person from an unsuccessful one? The easiest way is with the language they use. When you talk to a successful person about his objectives, he will tell you what he plans to do and when it will be done. When an unsuccessful person explain his goals, he will keep wondering and hoping to do it someday. But keep in mind : someday never comes. The big difference is the Action ! A lot of people are afraid of failing, but if you never try, you will never know if you can realize your goals and even if you fail, you will always learn something from your failures. In fact, success is made from a lot of failures. Everyone has dreams and goals : if you take action now, it will be more likely to reach your dreams and goals sooner in your life. If you do not take action, those dreams will never be realized alone. If you want to reach your objectives in life, you have to place a time limit on them. This time limit will forces you to take action instead of hoping that someday you will get what you want. But most of all remember, do not be afraid to fail. The world is full of successful people and the stories of those people are plenty of failures. Setting a profitable online business is something that many people would like to do. I hope this guide will be of help as much as it was for me to write it. As for everything in life, most of all for business and work, you have to organize yourself and your daily time, if you want to have success and build something profitable. Nowadays it is even more a problem, then many years ago. The world goes so fast, that you have to take time for your job, your family, your friends, your hobbies, your LIFE. Personal organization is VERY important in the internet business. Try to follow these tips in order to get done more things in less time. I recommend that you make a list of what you have to do. You can use technology support or if you prefer just take a piece of paper: the important is that you define what you need to do in your head and into the real world. You should specify each item on your list and they should be tasks that you can accomplish in a determined amount of time, better if it can be done in a short amount of time. When you finish a task, you can check it on your list. Your mind will be then free from that specific thing. At the end of your day, you will feel satisfied to read all the tasks that you accomplished. The internet is so full of information, games, fun stuff. In a few words : plenty of distractions. The web can be a place where you can spend (or waste) a lot of your time if you do not focus on what you have to do (see? Your list!). 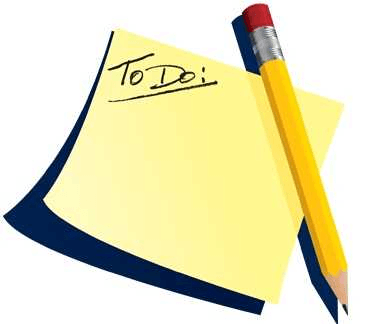 Try to accomplish one task at a time, for a specific amount of minutes you can decide ( it can be 30, 45 or 60). You should concentrate yourself in only doing that duty, without smart phone around, email or anything else that can distract you. When you finish that task, take a break and when you go back to your list, you will have enough energy to complete the next work. Easy to understand : if you have to call someone, regroup all the phone calls that you have to make and finish them over. Then check your e-mail (once or twice a day), answer to your priority messages, save the ones that you need to and trash everything not important. For the rest of your daily work time, keep your email program closed. Invest only part of your day in social media. It is an important instrument, but use it carefully or your daytime is going to end without even realizing it (by sending chat messages to friends or updating your social profiles). Just think that you NEED to organize yourself in a system that can match with your skills in order to maximize your productivity. Making money from home is becoming extremely popular in the latest years, because it enables you to work the amount of hours you prefer, in relation to your personal commitments. Like millions of people around the world (more than 600 millions blogs are on the internet in 2014), you wish to make money online. You landed to this page for a reason! There are thousands of online business opportunities, but watch out : there are many SCAM sites around, a lot of smart people who promise you to make huge money with a simple click if you are going to buy their sci-fi and incredible product. Forget about making money fast on the internet. There are quick ways to make SOME bucks online, but you will end with just few dollars (think about micro-jobs websites, for example). Let’s be realistic and honest. Time ago, people use to start a blog as a hobby (remember MySpace with those flashing buttons), but nowadays more and more would like to earn a full living online. The truth is that not everyone will make even the bucks needed to pay the monthly hosting bills. If you want to be one of the few bloggers that can really make money online, you have to plan well everything. Like any other offline business, you will need dedication, creativity, persistence and patience, but above all passion about the topic of your blog. 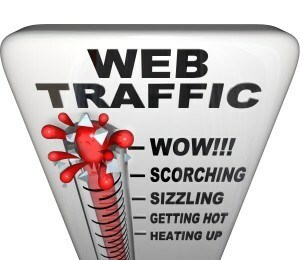 And you will need traffic, because traffic = more visitors = more customers = likely more sales and money. Be sure to choose something that you really want to write about every single free moment of your day and you will be sure to have chosen the right topic about your website. So, you have understood what you need to build a business online. You know that you are going to sell something. And you know that you will have to choose the right topic for you, something that you are passionate and expert about. You have to find a subject that will work for you and fit with your interests. There are four big market areas to choose from, that work very well : the key is giving benefits to people personal lives. Choose something involved in one of these above macro-level areas and you are sure your can work almost without failing. As told you above, you should focus in building something that will help people enriching their life. In a few words, solve their problems. Or satisfy their needs. Consider that people normally buy based on emotion and justify with logic. So you need to market your blog in order to hit the emotional buttons of your readers, focusing on what they really need to know to improve their lives. And think also that your audience may be looking for one or more of the big four areas mentioned above. So it is very important to choose the best option for YOU. Just think about what you are expert in or what you want to talk about with pleasure and you will find the topic for your online business. Be sure to think about something that you really want to write about every single moment of your day and you will be sure to have chosen the right topic about your blog (even if you already know that you will not spend actually every free moment of your life). Take a subject that you actually enjoy. So you got it, just figure out what you are good at and then compare it to those big areas. If you find something involved, then you made the first big step. After the step of choosing your market, the next thing to do is finding your audience. First way and more obvious is Google. People search for things they are interested in everyday, millions and millions of queries. A lot of people use Google Trends to find out what the hot topics are among all the searches or what the trend is for a certain search query. Many people, however, don’t even notice that the results of a Google Trend Search include the top Regions and Cities where people are from, searching for those keywords! At Wordtracker you can take the free trial. Just type in your keywords and it will tell you how many people are searching for that topic. Make a list of your keywords, before you start writing and you will save a lot of time. Quantcast is an excellent tool. On the homepage, all you have to do is typing a website address to find out all types of information about the people who visited that site, including gender, age, ethnicity, number of children, salary and education. Also, on the right hand side of the page, it tells you other sites that those people also visited, which may help you in more ways than you think (potential advertising areas, partners, etc). If you have an established website, like a blog that already tailors to your audience, just enter your own web address. If not (which is probably most of you if you visited this guide, because you are new in the blogging world), you can enter in the address of websites related to your niche, so you can get detailed information about the people you’re trying to target. Finally, a quick tip to find out more about your target audience. Use the search tool at Amazon. For example, search for a book that is related to your topic and read the reviews. People are not afraid to speak their mind on Amazon, and you will learn so much about their needs just from reading these reviews. It may also give you some ideas for some additional content you could be adding to your blog as well! But, there are a lot of more ways. Think about Social Media. For example Twitter, Facebook, Google+, LinkedIn, Pinterest, Instagram, Quora, etc. Or related forum and blogs. Go to Google and type in your market’s main search terms and add the word “forum” to the end of it. Once you find interesting ones, sign up and start participating. Go on the internet and find where these people are and join them. Facebook groups are also an interesting place where bloggers of the same niche gather to share and discuss about specific topics. Find related blogs and then subscribe to them. If they have an email list, subscribe to their newsletter so you can see what they are talking about. The idea here is to search about your market. Find out what they are talking about, what they need or want. You might be a new comer to the market now, but trust me, before too long you will not be anymore. Lastly, but most important : do not go into these places and start selling anything. You are going to be labeled as a spammer just for looking for quick bucks. And they would be right. Your only purpose is to communicate with people within those sites and get to know your market. They should have no idea that you intend to sell something to them at some point. I’ve a motto (which I follow on personal life and online). Now it’s time to choose the domain name for your website. It is an extremely important part of creating your blog, as that becomes the name of your website. This is a process that is made harder than it really needs to be. Google Keyword Tool is going to help you a lot in the process of searching the right domain name for your online business. It is the Keyword researcher tool for Google Adwords users, when they have to build their campaign and you can use it too, because it is free for all. You have just to insert the country, language and keyword and it will show you Monthly Competition ,Global Trends, Research monthly and more. Try to think about few keywords that best describe the domain you are seeking : once you have in mind those words, try to find a compromise, adding prefixes or suffixes to create your domain name. To the extent possible, try to make your domain name unique, keep it as short as you can, make it easy to type and not difficult to remember. Personally , I like to simply go to GoDaddy (my chosen registrar) and go through the search manually until I find the perfect domain that is available. You always want to get your primary key phrase in the URL if possible and if you can grab the .com or the .net address, even better. Usually most of these domains have been taken, so adding a word at the beginning or ending is a good way to go. But be careful what words you use. Sometimes the word “cheap” seems like a good idea, but I find this may bring negative connotations. Remember, buyers do not want cheap, they want the Best Price possible. Good luck finding the right domain name for you. Many people get confused when they have to choose for the right web host. You know that you need a place where to put your website. Consider that finding a web host is not complicated. Most of these hosting services do the same exact things and make the same exact claims. What you are primarily after here is a good support so that if something goes wrong, you will receive help right away. Since you will be setting up a blog with WordPress, you need a host which has PHP and MySQL. PHP is simply the WordPress programming language (and many other things) is written in. MySQL is the type of database it uses. The good news is almost every web host out there supports these features. Many hosting companies will provide different levels of hosting plans and if you are just starting out, you do not need an expensive plan. As long as the plan supports PHP and MySQL, you should be fine. Also ask them if you can set up multiple websites with the same account. You will probably want this option. Ask them if you can easily upgrade to higher account levels without having to move your website. 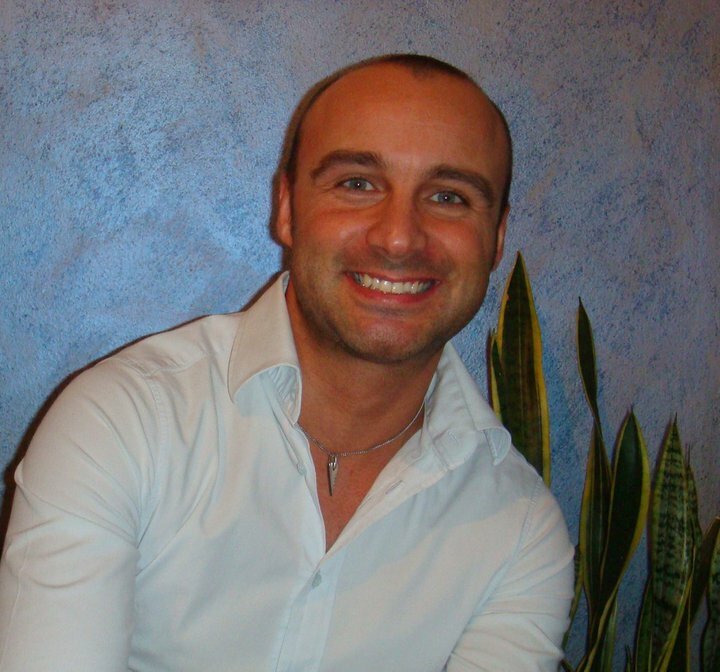 I personally use HostGator : it is very famous ( now hosting over 9,000,000 domains!) and clients are very satisfied. Your site is ensured to be up at 99% percent guarantee. I’ve recently moved my websites from Baby plan to a dedicated server. I never experienced such fast speed and in 3 months time the server was always UP! They also offer an easy interface (CPanel), with a lof or useful tools and free software or themes for your site use. If you have any reservations about this hosting company, you can easily Google around and find people talking about their experiences with this hosting company. The only thing to keep in mind is that it is human nature to be more vocal when something is upsetting you, so you’re probably more likely to find people complaining than saying good things. Resellerclub provides simple and efficient WordPress Hosting Solution. They provide an intuitive dashboard, malware scanning, automatic backups and more with their extensive WP Hosting Plans. Get the best Managed WordPress Hosting in the Business with Resellerclub. Now that you have a web host, it is time to get WordPress set up. 1 – Install it manually. 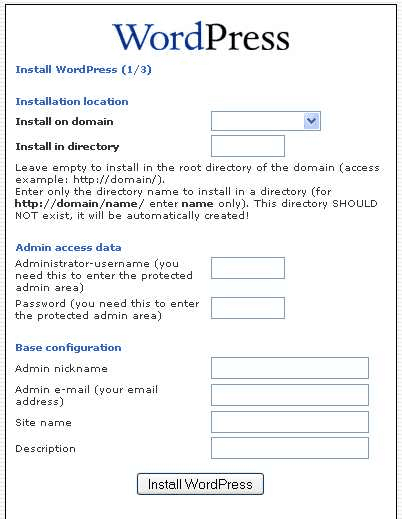 2 – Use the auto-install service provided by your web host. Just set up the Name Servers from your Domain Registrar to the Name Servers assigned from your Web Host. The WordPress installation is very easy. And pay attention, don’t do these common WordPress mistakes! At this moment, you should already have your own hosted WordPress blog set up and ready to start. If you will spend time trying to select a WordPress theme to use for your blog you will know that it can be a frustrating process. One of the great benefits of using WordPress is the fact that there are thousands of quality free themes available, along with premium and custom themes. But all of these options can sometimes make the decision even more difficult. As mentioned, you can find an innumerable amount of free WordPress themes, but a premium customized one is the way to go if you want to have a professional looking blog or if you just want to differentiate from the millions of blogs out there. Color plays a huge role in choosing a theme (personally I like blue). Just try different ones and decide the one that hits you immediately. Think about having a single, two or three column design. These are the different styles of WordPress themes that can help you with your search as well. Knowing how many columns you want will help you eliminate any theme that don’t fit your requirements more easily. Another factor to considerate is usability. In a few words, how people (your readers) will use your blog and how to make it easier to navigate and use. Test out a few different themes using the preview feature as if you were a reader of your own blog. Most previews allow you to navigate and search through the layout as a sample. Review the header design and placement. Pay attention to the font and size since you won’t be able to change these too much. If you have already in mind a logo or the title design, than even better. Finally test your theme with different web browsers. Chrome and Mozilla Firefox are the leading web browsers, but a theme may look and work differently in each one. Test out the theme in as many browsers as possible to determine functionality and effectiveness. The blog theme I use at SmartMarketerz is called Magazine PRO, runs on Genesis Framework and is made by StudioPress team. I highly recommend Genesis themes. It’s definitely worth investing in. The web is a powerful place where you can pretty much find out anything about anybody. That includes your potential market competition. It is good to check out your competition, not only for the same keywords you share with them, but also for other useful information. You can learn a lot from their experience : think about the blog layout, the products that they offer, the content of their site, their SEO, etc. Here are a few tools you can use to spy on your competition. The information is out there, above all for FREE. You can often find out what kind of people visit their sites, how much traffic they get, and generally you can get a decent view of a potential market before you even mess around with it. At this point you should have completed all the steps, in order to set up your website. The best suggestion I can ever give you is to build connections and relationships online with bloggers of your niche. Remember this, because it’s VERY important. You can start with social media, as a part of your online presence. You should begin with Twitter and sign up (if you do not already have an account). It is free and it will help you build up your social media presence. It is very easy to set up and the only recommendation is that if your actual name is available, be sure to register it. As second step, you should grab the name of your website or company. Even if you register your actual name, you should also get your company name as well so as to safeguard the brand. 1 – Use an actual photo of yourself in your profile. This is a social media and means that you want to be a person, not a business. 2 – Write your bio : you will have only 160 characters available, so make the best use of it. Describe what you do and why somebody might want to follow you. Again, be real. 3 – Link to your website in the URL field of your profile. 4 – Fill in your location. 5 – Set up a custom background and header (this is kinda new) image. Many people will create a custom image that actually has their contact information and a larger photo of themselves. If you don’t know how to do this, there are people online who will design a custom Twitter background image for you. Once you’re set up, start “tweeting”. If you want, follow me. Tweet links to cool websites related to your market. Actively engage with other Twitter users and have conversations. Remember the 80/20 rule. Share 80% other people content, 20% yours. Before long, you will wonder what the world was like without Twitter. And a lot of traffic will arrive actually from Twitter (it’s my first referral traffic!). The key of Twitter marketing success is have a lot of -engaged- followers. The concept is not the more followers you have, the more likely your links are going to be clicked on. But the more loyal and real your followers are, the better results you will get. You should find users related to your market and follow them. Be sure to connect with them at their blog and share their posts. Send out a tweet, letting them know you are reading and commenting their articles. Here some other Twitter tools you want to use. Twitter Cards give you a boost to your tweets. It’s like a tweet with superpowers. Check this detailed guide to set up Twitter Cards on your blog. As already mentioned, the best tip I can give you is to build online connections, with people of your niche. But where to find these people? Other than social media accounts, you can visit blogging communities. Once you found some blogs related to your niche, be sure to visit them, leaving a meaningful comment (better if they use CommentLuv), and start connecting with the blog owners. Another great way to increase your audience is via guest posting. Use it not for the sake of link building, but for creating new connections. Find relevant blogs in your niche, and ask them if they accept contributions. Be sure to write your best content and be prepared to engage conversation with the comments. Need a place to start? In this post, you can find 8 amazing bloggers to follow. 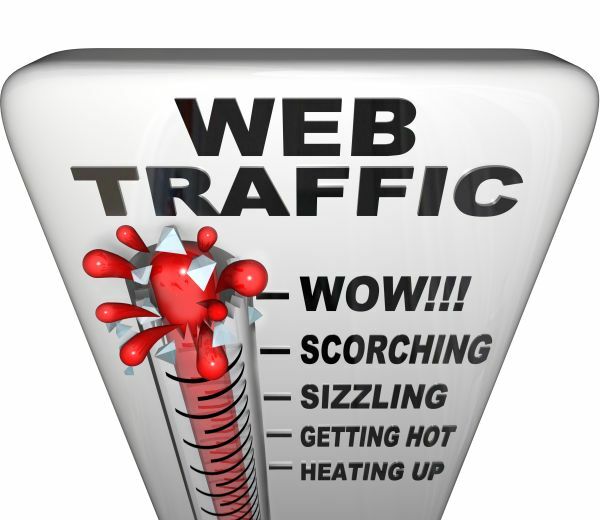 Now that your site is up, it is time to start attracting visitors to it and get traffic. There are many different ways to generate traffic, including search, social media, viral marketing, email marketing, paid advertising and more. Search engines can send high volumes of relevant and sustainable traffic that you do not have to pay for. You will do some work up front and then for the most part, that traffic will keep coming from the search engines with little maintenance effort on your part. Search engine optimization (SEO) is the practice of making things rank well in search engine results. From a SEO standpoint, there are two primary areas you need to consider: on-page optimization and off-page optimi zation. Basically, there are things you can do on your site to help your rankings, and things you can do off of your site to improve rankings. All of those on-page factors are important, and you will be sure to do them, but in reality they pale in comparison to the importance of one off-page factor. 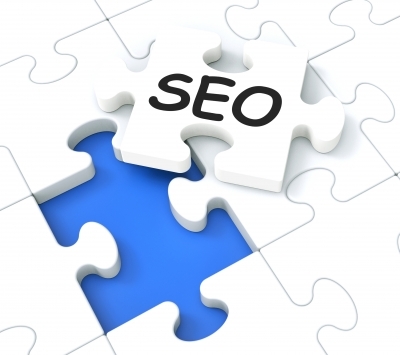 The most important aspect of search engine optimization is getting links to your site. And when it comes to links, there are two main things that matter: the quality of the site where the link is coming from and the anchor text used for the link. There are other things that matter in off-page optimization (like how relevant the surrounding content is and where the link occurs within the page), but mainly site quality and anchor text are what matter most. What is anchor text you might ask? Well, when you are writing about something and then you provide a link in this sentence, the preceding text “provide a link” would be considered anchor text. Anchor text matters because it helps the search engines understand what the site being linked to is all about. Obviously, if you are trying to rank for our primary keyword phrase, you will want to get links that use that keyword phrase as the anchor text. You have to be careful though, because Google does not like to be manipulated. If Google sees that of dozens of links pointing to the same page are all using the exact same anchor text, it will suspect something unnatural is going on (like intentional manipulation of links). Google will start to discount the value of those links. That’s why it’s important that you vary the anchor text of the links you get a little. The other factor I mentioned is link quality. Google measure link quality with a system that uses for placing value on every site and page it knows about. Basically, the more highly Google thinks of a site/page that links to you, the more value that will flow from that page to your site/page. It is important to know that all links are not created equally. One link from a very important page in Google’s eyes could be worth one hundred low-value links. Just keep that in mind for now. That’s a very basic introduction to SEO. It should be nearly all you need to know to get traffic for our little sites. 1) Share your post on all your social media profiles (must be relevant). 2) Go out and comment on 4-5 other blogs related to your market. Better yet, blog posts related to the material of the post you just published. Comment on those other posts and link back to the post you just wrote (better if they use CommentLuv). In your own post, include at least one link out to a related blog. Also, include a link to one of your own internal posts. Use this platform to connect with other bloggers, find and participate to relevant projects within your niche. You can share your knowledge by leaving answers to interviews created by other users. When published, you will be exposed to the website owner audience (plus, you’ll get a mention to your blog). Broaded.net is a new tool (still in beta), created by my friend Enstine Muki, that you can use to get traffic to your blog posts, without using social media or SEO. I’ve written a review here. Do you want to have fun while promoting yourself and your blog? Check EmpireAvenue. Once you get a decent amount of traffic to your site, you can think about monetizing your blog. Whether method you decide to use, just keep in mind your readers. They are the most important part of your blog, so accept any ways to make money with your website, only if does not go against your readers. The most effective way for me is selling banners, at a fixed price per month. I use BuySellAds for my main blog “NoPassiveIncome” (plus, some other niche sites). See NoPassiveIncome BSA marketplace here. You can apply to BuySellAds with your blog at this page. Inappropriate content: BuySellAds.com runs a strict policy that prohibits ads on adult rated websites. If your site contains pictures or content that is deemed to be inappropriate then your site will not be approved. Incomplete Websites: Websites that are not completed will not be approved. 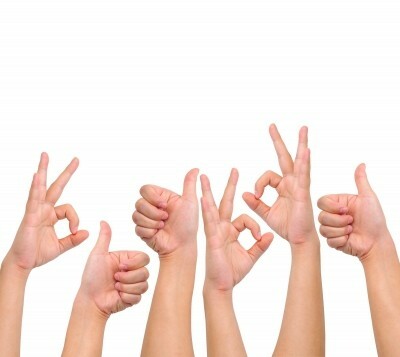 This is to insure that the advertiser achieves the best experience possible. Do Not Meet Traffic Requirements: BuySellAds.com is selective about approval based on website traffic. We examine different aspects of website traffic by using such resources as: Alexa Rank, Compete.com Stats, Page Rank, Del.ico.us bookmarks, Technorati Rank, Yahoo! 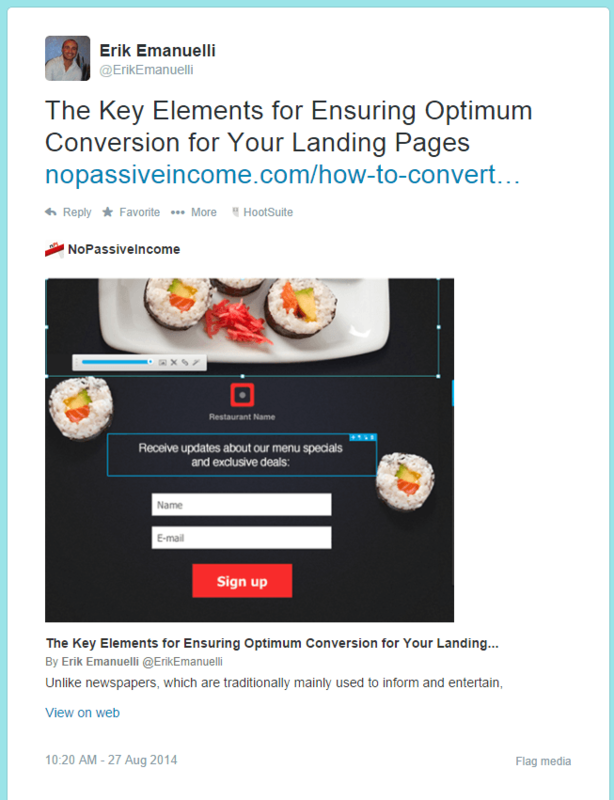 Inbound Links, RSS Subscribers, Twitter followers, and publisher history (i.e. if they have other successful sites). Did not include site in registration form: Did you forgot to tell us which site(s) you are looking to sell ads on? If so, your application may have been overlooked. If this is the case, feel free to email us with the info in the last paragraph of this post. If your website won’t be accepted by BSA, you can still use other ways to find advertisers for your blog. OIO plugin is a good method. I use it for Klinkk blogging community, see here. Get your copy of OIO plugin now! Writing sponsored posts, from time to time, is another way to make money with your blog. I’ve recently written an article that gives some tips and resources to monetize your website with sponsored posts. Just remember, have at least 20 posts on your blog before applying to any affiliate program. Networks like to see blogs with lots of content. Do not apply if you don’t have at least a decent amount of posts up, because you’ll be rejected. Make it easy for the networks to confirm that you own the blog. The easiest way to do that is to apply with your own domain email address. In other words, use you@yourblog.com. If a network cannot confirm blog ownership, they will reject you. If you do not have your own domain name, then make sure you have the email you use listed on your blog’s contact page. The biggest scam ad networks face is scammers applying with someone else’s blog. The easier it is to confirm that you’re the blog owner, the faster you’ll get approved. Apply for more than one network. Ideally, you should apply to all the networks listed here. The key to make money by blogging is to use as many revenue channels are possible while still preserving the user experience (remember? Your readers first!). 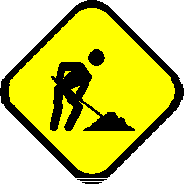 While you’re waiting for approval, keep updating your blog. Many affiliate marketing networks will visit your blog more than once and seeing a new post when they visit again is a good thing. Commissions may be very various, but most common is a percentage of the sale price. Standard is 10-20%, but for some products, commission is as high as 50%, or even 75%. The most profitable online niches are the following. 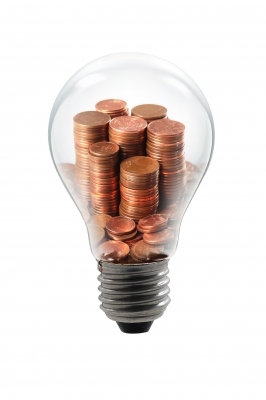 The above mentioned ways to make money can be used without having your own product. But remember, it is obvious that to make a NICE revenue on the internet you have to sell your own product or service. You need to become an information marketer in your market. Whatever your market is, you want to sell valuable information to the people in that market to help them solve problems, offer them solutions. Your goal is to provide VALUE to the reader. You can start with a simple PDF eBook. You can offer it to the people that come to your site, in change of your newsletter subscription, for example. After this, you can think about creating a larger product or perhaps even other smaller products to fix other problems for the same market, selling them for a determined price. Creating your Ebook is not very hard : simply type it in any word processor and then export it to PDF format. Easy. There are many online free tools to convert Word files to PDF. I use PDF online. It’s completely FREE. When it is done, I recommend that you have somebody (you can use for example Fiverr for 5 bucks) design a cover image as well as a product image for your report. The product image wi ll be a 3D-looking image of your report. You can even add this image on the opt-in box in your blog. Whether the report is free or for sale, always put affiliate links into your eBook if something you are talking about is highly relevant and high value. For example, if you are talking about building your first site and find a web host, you can type HostGator (with your affiliate link). You do not have to start with very long or complicated eBooks. Start creating your first one, not too big or long. Once started, things will come of themselves, if you keep working. After this, you can choose other products between premium membership, video tutorials, online guide, etc. And when you create your product, you can finally start making some money. Selling your services is another way to make good money online. I recently started selling freelance writing services. See my new personal site here. You can start from places like Odesk, Elance, or Freelancer, but soon you will realize that you can get really low rates in those sites. Competition is huge, and I suggest you to use these platforms just to build your portfolio. You want to get direct clients, or in alternative, work with a content marketing agency. Also, here you find a huge list of places where you can find work. I hope to have you helped in any way and if you have found it useful, please share this page with your friends. Just use the social buttons below! If you need to ask my anything, you can write me at erik(at)nopassiveincome.com or using the form at this page.